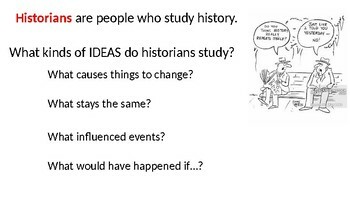 This powerpoint introduces students to the reasons we study history as well as the tools historians use in order to understand the past. 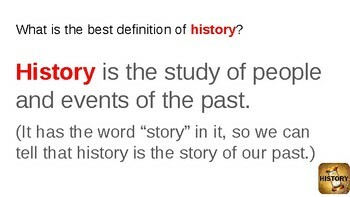 It goes well with the coordinating notes also called "What is history?" which is offered separately. 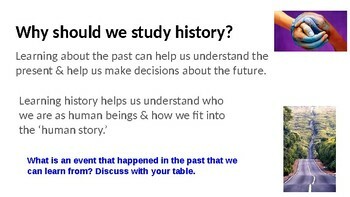 I teach this at the beginning of the year, and then have students create a History and Me timeline to show how historical events have impacted their lives and the lives of their families. 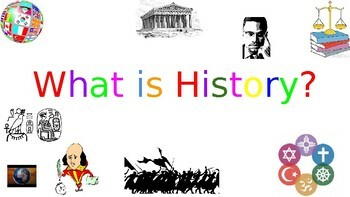 The History and Me timeline is also available separately.